Any work of Japanese literature is lucky to be translated into English even once. (There is still no English version of Kyūsaku Yumeno's surreal horror masterwork Dogura Magura. A man can dream.) Lucky, then, is Sōseki Natsume's masterwork Kokoro, among the most famed and beloved of Japanese novels, since it's been brought to English-language readers not once but three times: in 1948 by Ineko Kondo, in 1957 by Edwin McClellan, and in 2010 by Meredith McKinney. Put them side by side, and what emerges is not so much a winner as one that compromises the least and delivers the most. But you also see all the ways a translation is a compromise, and how some compromises weather better than others. I've returned to Kokoro countless times through my adult life, in various translations, if only because my love for the story itself is all but unbounded. Set in the last years of the Meiji period (around 1912) — with Meiji's own death as the final punctuation mark on Japan's transition from a feudal to a fully modernized society — it concerns a young man of college age (the "I" of the first half of the story) who encounters an older, professorial type he dubs "Sensei". The protagonist finds something more compelling about this taciturn older man than any of his own professors or even his chosen field of study. For the first time in his life, the young man has a figure, both spiritual and intellectual, to look up to and learn from in a direct way. It's Sensei's very reticence, I think, that makes him attractive to the younger man. He only wants to do right by this (in his eyes) great figure, and so over time compels Sensei, if only by way of his presence, to open up that much more. Most of what the younger man learns comes in fragments: that Sensei was not always like this (as his loving and long-suffering wife admits); that it was some great hurt, visited by others, that caused him to close up to the world like a flower in the cold; that the worldly wisdom the younger man seeks from the elder may only come by way of pain. Growing closer to Sensei puts a rift in the young man's life. His parents, especially his ailing father, are his own flesh and blood, but feel all the more distant to him now that he has found someone else who seems to speak the same language of his heart. Then, just as his father is near death, he receives a giant missive from Sensei — a "testament" that is the entire second half of the novel — and rushes back to Tokyo despite his father's condition after glimpsing the chilling last few pages of the manuscript. The wall around Sensei's heart has finally fallen, but for the sake of confession and not healing. In the letter, the older man fulfills his role to the younger man as sage in the ways of the world by telling him what no other man has, or ever will, hear. In the wake of his parents' untimely deaths, he was cheated out of his inheritance by a relative, and how at that age he was left with an abiding cynicism about human life. It was with a war widow and her daughter — especially, in time, the daughter — that Sensei found a way to soften his hardened heart. Then Sensei tried to do the same for a friend of his, "K" — a compulsively ascetic young man, his own soul seemingly "lacquered" (as Sensei puts it) and impenetrable. Surely the humane thing for Sensei to do would be to pay forward his newly rediscovered humanity. What he does not anticipate is how trying to do so unlocks within him the capacity to do terrible things. And what his younger student does not realize is how his thirst for wisdom and worldly enlightenment will come at the cost of being vouchsafed this confession, and being the only one to ever have it. 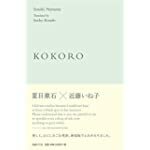 Kokoro poses fewer challenges to a translator than other works might. There's little in the way of linguistic games or narrative complexity; the most elaborate device in the text is the fact that the second half of it is essentially a long letter from one character to another. 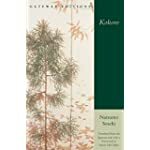 And Natsume's own language, whether that of the young protagonst or Sensei, is direct enough that excerpts from the text make for good language study. What arises from this, though, is what I guess could be called the fractal zoom of translation complexity. The simpler the text, the greater the temptation to read more and more into the simplicity, to get bound up in making the subtlest of choices. The pressure to choose creatively is all the greater when you have previous translations guiding your hand; the temptation becomes not just to be faithful to the text, but to cut a path away from the earlier renderings, to justify doing the work again, to stand out. Fulbright professor Ineko Kondo, first to bring Kokoro into English, did not have to face the pressure of surpassing previous translations. Rather, she had the more immediate problem of being the first to translate into English what had by then already become a staple presence of Japanese letters. According to the introduction she provided for the translation, it took her two years — from 1936 to 1938 — but the finished work did not appear until in 1941, by way of Hokuseido Press. Worse, it didn't reach its intended audience of English speakers in other countries for another seven years, as World War II made it impossible to distribute the book outside of Japan. In 1948 a new publisher, Kenkyusha, obtained the original printing plates and reissued it. After 1972 it went out of print and became difficult to find, but earlier this year another publisher, Kokushokankokai, Inc., put it back into circulation. Kondo's version reached me for the first time only after I read the other two translations. It does not measure up badly at all, actually, and there are many individual passages I quite enjoyed — e.g., when the young protagonist describes his mind as "feasting upon the soft colour of the leaves". But I couldn't ignore how it had been translated into a flavor of English that has aged out, a slightly genteel, stuffy, British-inflected form with many peculiar constructions that haven't been spotted in the wild for some time. When a young Sensei is asked about his preferences for lodging, the question is phrased: "Wouldn't you like to live in a family?" [sic] It doesn't beg to be replaced, but it does invite thought about how it could be surpassed. In 1957, another translation appeared that did in fact surpass it — well enough to become the standard-issue edition of Kokoro in English. The translator was Edwin McClellan, born in Japan to a British father and Japanese mother, who wrote his doctoral dissertation on Natsume vis-a-vis the author's views on the problems of modernity, Japanese and otherwise. Translating Kokoro became part of that project, and in time McClellan would also excellently translate another of Natsume's novels (Grass On The Wayside) as well as Shiga Naoya's A Dark Night's Passing. What makes McClellan's version so enduring is two things common to all the best translations: it doesn't get in the way, and it has a life of its own. Kondo's version read like a "translation"; McClellan's version reads like literature. I know there are times when he telescopes a phrase, or rearranges or abbreviates a sentence (examples to come), but always because the result is more fluid, more musical. Passages that could have felt old-fashioned in their diction seem timeless instead, and that suits the material. Natsume was not just writing from a more genteel time, but in a moment in his society where the transition between one era and another had become manifest by way of Meiji's death, and where the problems seen in that transition were not limited to that decade alone. McClellan's translation was the first one I read, and for that reason I have to be judicious about my praise for it. I know full well one's first encounter with anything shapes forever all our future appreciation of it. But my encounter with McClellan's version and Kokoro generally took an arc that leads me to believe my feelings are valid. 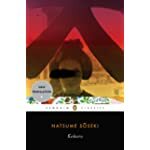 I read Kokoro for the first time almost two decades ago, as part of a general self-guided effort to get to know Japan's literary classics, and at first I found myself unmoved by it. (Osamu Dazai's No Longer Human had a far greater impact for me at the time.) Then, when a friend was assigned the book in college and pinged me with discussion about it, I dug it back up and re-read it with little memory of the first encounter. The intervening years, both in terms of what else I'd read and what else I'd lived, had prepared me to receive the book far better. And not just the story itself, but its translation, as by that point I'd encountered enough examples of translations good and bad to see how fine McClellan's work really was. Every generation seems fated to at least consider retranslating work it loves from other shores. Tough on the readers, though: if you have a dozen versions of Don Quixote in English, where do you start? But new translations seem inevitable as language and society move on, and so a new Kokoro was probably bound to happen after five decades. Over the last couple of decades, Penguin Books has offered scores of new translations of classics. Some badly needed it; The Count Of Monte Cristo languished for decades in Bowdlerized editions before Penguin revisited it. Others weren't as vital; their recent version of Dostoevsky's Brothers Karamazov bulks tiny next to the Pevear/Volokhonsky version (even when P/V have consistency issues of their own). With Kokoro, Penguin issued a new translation in 2010 by Meredith McKinney, and her take on the book embodies many of my feelings about Penguin's reissue program generally. No one who picks McKinney's version first is going to be let down. It reads effortlessly, and it has clearly been prepared with that much more fidelity to details of the text that earlier versions elided. It also provides good biographical context for the novel, something only available in certain editions of the McClellan version. All this means it sits comfortably alongside McClellan's version, but doesn't really displace it. What it provides in terms of fidelity and correctness comes at a slight cost of musicality in the language. It has all the words — in fact, it has even more of the words than its predecessor translations — but it's missing a little of the music. I believe that a common reply, stated with passion on one's tongue, is more impactful than novel words from a cool head. The flow of blood powers the body. Words are more than waves disturbing the air, they induce great action in greater things. I believe that commonplace ideas passionately expressed are more effective in real life than the original inventions of a detached intellect. Because it is the heat of the blood that impresses us, for in addition to the words which reverberate in the air, the emotion by its intensity pierces to the soul. I believe that words uttered in passion contain a greater living truth than do those words which express thoughts rationally conceived. It is blood that moves the body. Words are not meant to stir the air only; they are capable of moving greater things. The only complaint I have with this is the apparently unneeded leaving-off of the end of the last sentence. Maybe McClellan felt his telescoping of the ideas into two clauses down from three did enough of the work that he didn't need to be exhaustingly explicit, and I actually agree with him. There may not be all the words, but it does not feel like anything is missing. I believe that an original idea from a coldly rational mind has less life than a cliché spoken with an impassioned tongue. The power of the blood is what drives the body. And words do more than just set the air moving. They move greater things than that, and with greater force. With any translation of literary merit, it's not about avoiding taking any liberties at all, but choosing the right ones to take. Martin Scorsese once said cinema was a matter of what's in the frame and out of it — that what you choose to leave behind is as important as what you choose to include. With a translation, there's never any hope of being completely faithful; some idiom, some sensibility that only oozes from between the cracks of one language's grammar and not another, is always going to evaporate. That angel's share can be reduced or traded off internally, but never removed; each successive attempt at the same text across generations may only yield more clever ways to disguise the loss. But the joy of this work is not in one-upping anyone; it's in discovering what there is for you and the reader in the attempt. I cherish McClellan's edition always, but I am grateful to McKinney for making the effort, and to Kondo for having taken the first step. An author this valuable to me can never be revisited enough, if only to see how each dive into him becomes unlike the last. To riff on Mies van der Rohe: God may be in all things, but he dwells most in the details.